° 1 bedroom 1 bath condo at Westbury Park. View of pool from living and dinning rooms. Hardwood floors in living room and bedroom, tile in kitchen and bathroom. Refrigerator, oven rage, microwave, dishwasher, washer and dryer included. 2 storage closets. Pets approved case by case, $350 non-refundable pet deposit per pet, 2 pets allowed, 50 lbs. weight limit. 1 assigned parking spot. ° Additional Info: No pets allowed, unfurnished, W/D connections incl., available now, 1 covered parking space(s), Dallas ISD. ° ADORABLE well cared larger unit in Westside Condos! Tiled entry leads into kitchen that has updated Kitchen-Aid appliances, modern backsplash, granite counters, breakfast bar & lots of cabinets. Open dining to large living views from the balcony. Vaulted ceilings a wall of windows for natural light make this a wonderful space! Master w great windows & views, Stainmaster carpet & pad, oversized bath garden tub, separate shower, granite counters, walk-in closet. Separate Utility room provides extra storage! Community pool & gym will round out this complete package. Landlord pays HOA, cover water. Gated parking. Perfect location for medical center staff, student, working uptown & downtown. Make it your sweet home. ° Additional Info: No pets allowed, unfurnished, W/D connections incl., available 5/4, 1 covered parking space(s), Dallas ISD. ° UTILITIES INCLUDED! - Electricity, water, sewer, heater and AC. 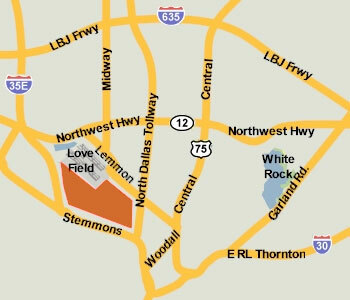 This cozy and well-spaced one bedroom unit is centrally located, within 2 mi from the popular Dallas Uptown Area, Love Field Airport and right next to the Dallas North Tollway - making it for a quick jump on the highway. Come and step into a living room that gets an abundance of natural light, or a kitchen that is designed for entertaining family and friends. This unit comes with stainless steel appliances, two walk-in closets, rear entrance, a smart lock and washer & dryer. ° Additional Info: Pets allowed limit 2, unfurnished, W/D connections incl., available now, 1 covered parking space(s), Dallas ISD. ° Additional Info: Pets allowed, unfurnished, W/D connections incl., available now, 1 covered parking space(s), Dallas ISD. ° One of a kind gated community 2 Bedrooms - 1.5 Baths in GATED COMMUNITY. Upgraded plank hardwood flooring through out. Kitchen is open to living area with Fireplace! Granite counter with deep sinks. SS Appliances, Electric smooth Cooktop. 1 full bath up. Half bath downstairs. View from balcony. Custom plantation shutters throughout! Community pool. Trails for walking for jogging. Unit has 2 assigned parking spaces under covered parking. Conveniently located to business, hospitals, restaurants, schools,car dealers and gorgeous down town Dallas. Easy access to Preston Rd I 35, George Bush Pkwy, Tollway. Pets are case by case. 2nd living rm upstairs can be easily converted into 2nd bedroom. ° Additional Info: Pets allowed limit 1, unfurnished, available now, 2 covered parking space(s), 1 fireplace(s), Dallas ISD. ° Freshly painted and move-in ready. Light and bright two bedroom condo in the desirable Westside Condos. Enjoy the pool and grilling area, fitness center, privacy and security in this gated community. Condo features stainless steel appliances, large granite island, open kitchen-living-dining areas and a balcony for your enjoyment. Agent related to landlord. ° Additional Info: Pets allowed limit 2, unfurnished, 1 covered parking space(s), Dallas ISD. ° Beautiful condo at the Piazza! Spacious 2 bed 2 bath with en suite bathrooms. Full size washer and dryer connections. This unit has 1 assigned space in the garage. Residents get to enjoy the grand court yard with grills, fitness center, club house and pool!! ° Additional Info: Pets allowed, unfurnished, available 5/10, 1 covered parking space(s), Dallas ISD. ° Beautifully remodeled unit with all new high end interior in a charming, well maintained, gated complex near Lemmon and Dallas N. Tollway. Walk in to beautiful new floors in spacious living & dining area. Kitchen has granite tops, all new cabinets to the ceiling, new fixtures and stainless steel appliances, inset lighting and designer tile flooring. New electrical panel! There is private front patio and your covered parking area is right at your back door. There is a newly remodeled half bath downstairs. Upstairs there are two large bedrooms with lots of storage and a washer-dryer area. Bath is totally redone with subway tiles & new lighting and fixtures and tub. Lovely park like grounds with pool. ° Additional Info: Pets allowed limit 2, unfurnished, available now, 1 covered parking space(s), Dallas ISD. ° Updated 2 bedroom 2 bath condo in a gated community close to restaurants, shopping, and highways. Large kitchen with granite counter top and stainless steel appliances opens to dining and living room. 2 master suites with own bathrooms. High ceilings. Laminate floors. Balcony. Covered garage with garage door opener. Community pool. Fitness room. Dog park. Gas grill. Rent includes water and door-to-door trash pick up. Ready for new tenants. ° Additional Info: No pets allowed, unfurnished, available now, 1 covered parking space(s), 1 fireplace(s), Dallas ISD. ° UTILITIES INCLUDED (electric & water) First floor corner unit, nicely updated with full-size washer & dyer hook-ups! Stainless steel kitchen, open concept living & dining areas. Large walk-in closets and shower with 3 separate shower heads & 2 side sprayers. Great value in a courtyard setting with two on-site pools, convenient Uptown location. ° 3 story townhome in the Medical District. Open Kitchen, living and dining with hardwoods, a balcony and plenty of space to entertain. Upstairs on the third floor are both bedrooms with en-suite bathrooms. HVAC replaced in 2018! Stainless appliances in Kitchen and stackable washer and dryer on third floor with bedrooms. Great location and wonderful place to call home. Private 2 car garage. Tenant to verify dimensions and schools. ° Additional Info: Pets allowed limit 1, unfurnished, W/D connections incl., available now, 2 covered parking space(s), 1 fireplace(s), Dallas ISD. ° Stunning condo loft in the heart of Downtowns newest up and coming area, the West End! Tons of restaurants, retail and more are already in the works! This unit boasts a flexible space, open to be used as second bedroom or large office! Concrete floors, exposed brick and wood beams give this the ULTIMATE loft vibe! This trendy space offers tons of storage, track lighting, large windows, balcony and SO much more! Master bath boasts dual vanity sinks, oversized tub! Fridge and washer dryer to STAY! A must see in person!! Balcony overlooks charming courtyard space! A RARE find at a great price! ° Additional Info: Pets allowed, unfurnished, W/D connections incl., 1 covered parking space(s), Dallas ISD. ° Every aspect of this gorgeous gem was carefully built with a touch of modern design and high-quality materials that are only found in high-end homes. Each condo features high ceilings; custom 7ft aluminum windows, wood floors, iron railing and smooth level 4 walls. Our contemporary kitchen includes self -closing European style cabinets, quartz countertops, extra deep sink, and stainless steel appliances. Bathrooms come with floating cabinets, rear lite led mirrors, large format 24x48 porcelain tile and seamless glass doors. Enjoy panoramic views from the rooftop terrace! ° Additional Info: Pets allowed limit 2, unfurnished, 2 covered parking space(s), Dallas ISD. ° Additional Info: Pets allowed limit 2, unfurnished, available now, 2 covered parking space(s), Dallas ISD. ° Rare three bedroom, two and a half bath Carreras Townhome end unit with attached two car garage. Gated community just minutes from Lovefield, Uptown, Downtown and Medical District. Great floorplan with kitchen opening to dining and living areas. Great for entertaining. Kitchen boasts granite counters, glass tile backsplash and breakfast bar. Split bedrooms perfect for roommates. As an end unit this home has ample windows and abundant natural light. Master suite with spa like oversized bathroom with double vanities, garden tub and separate shower. ° Additional Info: Pets allowed, unfurnished, available now, 2 covered parking space(s), Dallas ISD.